CANADIAN DEFENCE MATTERS: IS CANADA READY FOR HYBRID WARFARE IN THE BALTICS? IS CANADA READY FOR HYBRID WARFARE IN THE BALTICS? On July 8th of this year, while in Warsaw, Prime Minister Trudeau announced Canada’s largest sustained military presence in Europe in more than a decade. Canada plans to lead what is described as ‘a robust multinational NATO battlegroup’ in Latvia, Canada will provide 450 troops to the 1,000 strong battlegroup slated to defend Latvia. Although Minister of National Defence Harjit Sajjan said recently that Canada’s military role in Eastern Europe has shifted from reassurance to deterrence the mission in Latvia is not a classic deterrent posture and it is widely believed that the message being sent by this deployment is aimed at both Russia and at NATO itself. One of the issues that throw the deterrent aspect of this force into doubt is a key finding of a Rand Report war gaming the defence of the Baltics. That report found that across multiple games using a wide range of expert participants playing both sides, the longest it took Russian forces to reach the outskirts of Tallinn and Riga was 60 hours. It is in that context that it should be understood that the Canadian Forces that will be deployed, and in fact the entire NATO brigade, lack the numbers and equipment to realistically combat potential Russian aggression. Advocates of the deployment know this. That is why they argue that the force’s presence will serve as a tripwire that will deter Russian aggression, since Russia will fear a broader confrontation with NATO. A more cynical, if probably more accurate interpretation of this deployment, is that as Stephen Saideman a professor at the Norman Paterson School of International Affairs has pointed out, Canada and its battle-group allies are there to be sacrificed in order to ensure that NATO members don’t back down from their collective obligations. However, there is more than a conventional military threat from Russia. NATO must seek to deter any application of Russia’s so-called “hybrid warfare” capabilities to its Baltic members. Hybrid warfare refers to the combination of conventional military power, irregular tactics, political and information warfare, and economic and diplomatic pressure by a foreign power to interfere in a country’s affairs. Russia has used these tactics to occupy Crimea in Ukraine and provoke and support a separatist movement in eastern Ukraine. Writing at OpenCanada.org Misha Boutilier and Shahryar Pasandideh Gholamali have pointed out that this mission poses significant political and legal complexities. 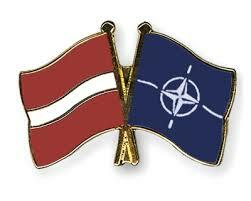 It is unclear what role NATO forces would play in peacetime, during crises or even during conflict. Will Canadian infantry conduct foot patrols along the Russian border? If so, what will be the rules of engagement during peacetime, crises and war? What restrictions will the Baltic States place on these forces? Has anyone asked what caveats our NATO allies will place on their troops should a serious crisis with Russia or armed local proxies, a very real threat, are encountered? Will all the elements of ‘our’ battlegroup be able to respond in the same way to complex events? Will national elements need to contact their respective governments for instructions before advising their nominal commander of their ability to carry out orders? These are not theoretical questions. National caveats on personnel participating in NATO-led operations are not a new challenge. Lessons learned from operations in a number of NATO missions have emphasized the impact of caveats on those missions. There is no reason to believe that the problems of constraints (i.e. caveats), which are tied directly to the level of national interests a country has in a particular mission and the level of risk it is willing to take, have been solved. It can be assumed that a large part of the reason for Canada’s participation in this latest phase of Operation REASSURANCE is to insure for itself a ‘place at the table’ during NATO deliberations. It is a traditional Canadian strategy to take leadership positions with our allies based on the calculated use of forces available. But what of those forces themselves? Canadian Defence Matters has pointed out in the past that if our forces are not there simply to act as ‘speed bumps” for passing Russian armoured forces then there must be a plan to reinforce or extract them in the event deterrence fails and major hostilities occur. The same questions should be asked about what our intentions are concerning the likelihood of hybrid warfare. How will we, and our allies, react to the very real likelihood of non-traditional conflict? If it is true that Canada and its battle-group allies are there to be sacrificed in order to ensure that NATO members don’t back down from their collective obligations, then how does Canada plan to live up to those obligations? Canada must answer the question for itself, before Moscow asks it for us. How far we are prepared to go to defend our Eastern European allies and what measures are we willing to put in place to deal with the responsibility of putting Canadian soldiers in harm’s way? When it comes to deterring Russia, will Canada’s Latvia deployment do the trick? CANADA AND NATO, HOW FAR IS CANADA PREPARED TO GO?